Stayed at this hotel with my family and had a fantastic time, can't wait to go back. The hotel was clean and very well maintained at all times. The rooms were left immaculate every day with a daily clean from the maids and towels changed every day if you wished. The gardens of the hotel were constantly being looked after and were a joy to see each day. The food on offer was plentiful something for everyone. The breakfast was amazing, fresh fruit every day, omelettes and eggs cooked however you wanted, fruit smoothies, you name it, it was there. The poolside bar offered a great selection of food at lunchtime the usual burgers, hot dogs and chips were on offer along with various other options. Our particular favourite was the baguette bar, you can choose anything you like from the fresh meat and salad section which was then made up into the baguettes for you. Evening options in the main restaurant were again very good always something there, steaks, Chicken, Lamb, they were all there along with something for the children. The location of the hotel was very pleasant, about a 20 minute walk from the centre although a taxi was only about 3 Euro should you prefer not to walk into town. The entertainment was as you would expect really, nothing great but I always think your holiday is what you make it. We often ate at the hotel, had a few drinks, then walked into town which broke the evening up a bit. There was always plenty of staff on at the bars so no worries about long queues. Hotel staff were always about, with a smile on their faces, entertainments team were brilliant, I still don't know how they can be so energetic from morning till night. They did a fantastic job. Would certainly recommend this hotel to families and will be going back again next year. Hotel was of a good standard, people should be a bit more realistic on the amount they’re spending, for what you pay here you get extremely good value. The food is good the drink side of it is not bad, the rooms are fine and kept spotless, the hotel grounds are nice and it’s in a good location what more do you want, if you want 5 star you'll need to dig deeper into your pockets, you get in life what you pay for. I would recommend hotel and would come back. All Inclusive food was good in Gaudi main restaurant with free bottled water but did not think much of the Spanish and Italian which you could go to on one occasion each week. In fact we left the Spanish one before we ate anything as not much choice. Then went back to Gaudi main restaurant as this had more of a choice. So if you do book it make it early so main restaurant still open if your not pleased with what you see. The A/I only has a very limited amount of local drinks to choose from infact the worst we have ever had as we have been on a lot of A/I holidays but there were limited spirits 3 in total, and 3 cocktails available only which were poor. You had to pay for majority. Hotel location is OK as its just out of the centre about 1.5 to 2km away. Which you can walk or get a taxi for around 3.50 euro. A word of warning this hotel has kids running wild like Gremlins while there parents get drunk on limited A/I. There is a quiet pool and other calmer areas but beware if your not child friendly as the main pool was packed and looking onto a building site but resort is that big you can avoid it if you want. Anyone with kids though it will be ideal for them. Hotel is busy all year round from what staff say. Would I go back to this hotel no not for us but ideal for people with young children. Apartment was spacious and clean with air con, bathroom, large bedroom, living area and balcony. Room was cleaned spotless on a daily basis by the cleaning staff. I didn't see any cockroaches or other bugs. The food was fine and in plentiful supply. Lots to choose from with the grill area (dinner time) changing their daily offerings. Lunch consisted of burgers, chips, salads, veg, baguettes and fruit. Soft drinks at lunch and dinner are self-service. Lots to choose from for breakfast too with traditional English offerings to continental style offerings. Coffee and juices are self-service. The only gripe would be the queues that can form at the bars when attempting to get booze or soft drinks in the evening. I think the hotel should provide bigger glasses for the beers to reduce the times that people are coming back for a refill. However, I think you can order lots of small beers (San Miguel) to make things easier on yourself. The staff were nice and very helpful but there was large queues at the reception desk at times, but then again the hotel was fully booked when I was there! Pool areas are fine and yes there is loads of children but they seemed to be having fun and enjoying themselves! The Animation team did a good job of entertaining adults and children. There is a relax pool that is very quiet. But I thought the kids running about and playing added to a more 'fun' atmosphere as the 'Relax' area was too quiet for my liking. My last gripe would be the distance the hotel is from the centre of the resort. It's up to a 40 minute walk or about 20 minutes via the paths next to the coast. However, the security guys will order you a taxi upon request....and they're plenty of taxis. Food and selection really good. Cleaners work 7 days with towel change and bed making every day. All inclusive drinks have wide variety and not limited, includes bottled water. Staff very helpful and pleasant. Entertainment is basic and aimed at children of which there are a lot.There are 6 or 7 pools and beach towels are provided for a deposit. This Hotel offered a good choice of food and Themed Resturants made a plesent change. We could not fault the cleanleness of the hotel and there were always maids cleaning around the hotel. There was no need to take towels as these were provided. Staff were always friendly and helpfull. There was no restriction on how many drinks you could get at one time so this stopped the ques. This is a great family resort ! would defianatly recomend it !! We stayed here for 1 week and thought it was brilliant. We have been to quite a few all inclusive and this one was great, we ate in both the Spanish and Italian restaurants more than once and have no complaints about the food. The rooms were lovely and quite spacious, we stayed in a junior suite and there was enough space for 3 adults and a 1 year old. This is a great family hotel and highly recommend it to anyone wanting a relaxing holiday. 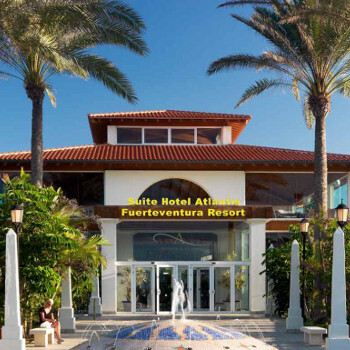 Went for 7 nights all inclusive to this hotel in August 2009 (2 adults and a 10 year old). Hotel was kept spotless and tidy, an army of staff seem to work non stop. Had everything we needed in our room, and maids cleaned every day. Large choice of food from salads to hot food cooked while you wait in the Gaudi main restaurant, everyone should find something they like. Didn't try the other 2 restaurants as there was so much to eat in the main one. Had lunch every day in the Milanese pool bar, which had a good selection of hot and cold food - ice creams available 12.30pm to 4.00pm, and an excellent sandwich bar open until 5.00pm. Hotel staff helpful and friendly, particularly if you make the effort to say hello and thank you. The children's animation team were fantastic, they encouraged everyone to join in the games at the main activity pool. If you want peace and quite use one of the other many pools, as this area is definitely for those who like fun - especially waterpolo. Didn't have any trouble getting a sunbed even though it was August. All pool areas were clean and tidy with lots of sunbeds. Hotel is in a quiet location, but only 5 minutes away in a taxi from the centre of Corralejo (about 3.5 Euros). Hotel has a small private beach area, but main beaches are a few minutes away on free hotel bus that leaves at half past every hour. Didn't try this ourselves as we were having too good a time at the hotel. Evening entertainment a bit hit and miss, but this seems to be normal when on holiday, and there is a disco for those who like to stay up late. Would definitely go back - tomorrow if possible, and for 10 nights this time. We have just returned from a twelve night stay. We read a few reviews and were not expecting anything great. We were very pleasantly surprised. Check in was a bit of a wait but only because our flight was delayed and the check in was two buses at once. The complex is huge and at night it was a bit difficult to find our room, once we got in the suite was plenty big enough for the three of us. We had booked a superior suite and got a small kitchen with a kettle and toaster and a fridge. We woke to find our room overlooking a pool but at 8am people had already reserved beds although the hotel asks you not to ( i have to say this is my only complaint about the hotel and its the guests rather than the hotel). There are plenty of pools one just for adults and others with baby pools too, if you are unable to get a bed if you ask at the pool bar the maintenance staff get more from storage. Breakfast is the usual but the lady making fresh omelette while you wait is worth waiting for. Lunch is either in the Melanese or the main restaurant always plenty too choose from as well as the usual burgers and hot dogs, the sandwich corner in the Melanese is good for takeaway if like us your child refused to leave his friends at the pool. When we have stayed AI at other hotels you are allocated a table for dinner for your whole stay this hotel is first come first served which is great as you are not on any kind of time restriction, dinner was varied and always something nice even my fussy nine year old found something he liked. We couldn't fault the food or service at all. Entertainment was hit and miss but the animation team did try hard the african show was really good. We would recommend this hotel and we will be going back. The food was great with variety and enough choice for the adults and the kids. 20 minute walk to the town or waterpark,a free bus to the sand dunes was excellent and well worth a visit. Recommend this hotel to anybody and would definetly go back!